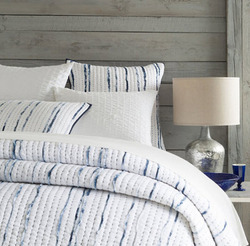 Coastal bedding brings the spirit of the sea or countryside right into your home. Cottage & Bungalow's collection means incredible quality and an array of attractive design and pattern choices - from bold designs to subtle hues and soft colors you'd expect from classic beach themed bedding. 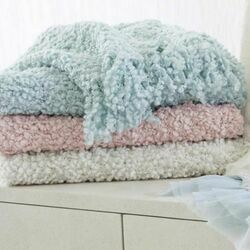 Wrap yourself in the comfort of soothing fabrics and peaceful colors and feel your cares fade away like the sound of the waves. 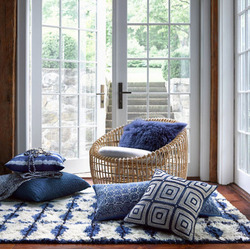 Add whimsy with coastal-themed decorative pillows and beach throws. 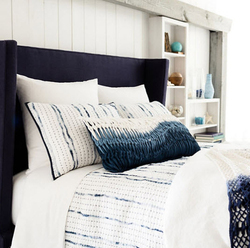 Create your very own beach sanctuary with coastal bedding and accents to fit your personal style. 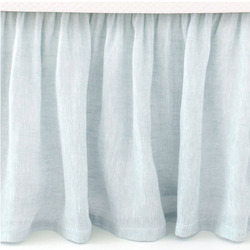 Browse our extensive selection of linen separates and coastal bedding sets including our coastal quilts and duvet covers, sheet sets, coverlets, shams, bed skirts, pillows and throws. Discover elegant, inspired designs that will pair wonderfully with your overall design theme. 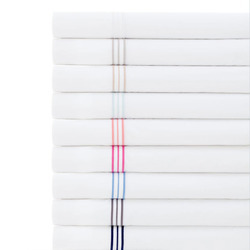 You can outfit your guest bedroom with a bright and cheerful coastal bedding set to create a welcoming environment. Then, choose soothing tones for your own sleeping area like our beach bedspreads to inspire feelings of tranquility and peace. 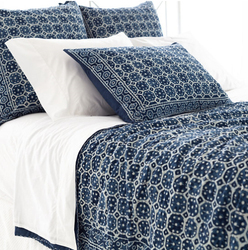 Create the ultimate retreat with coastal bedding options from Cottage & Bungalow.